Please Join Our Upcoming Service Walks in June and November! 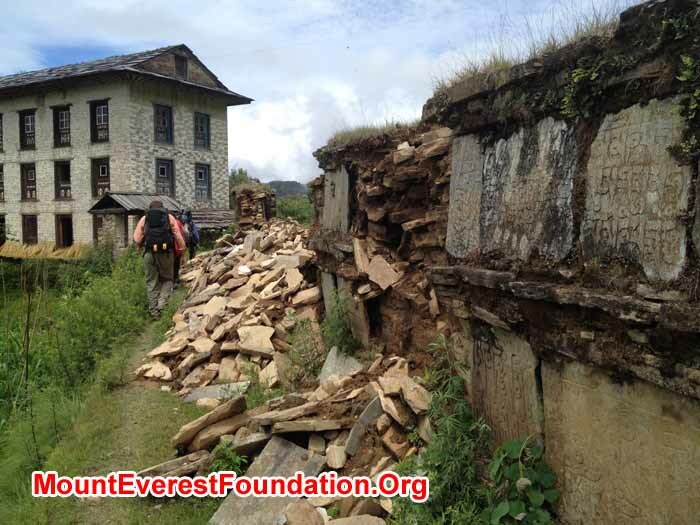 Our June www.EarthquakeTrek.org just finished, and a very big thanks to Jangbu Sherpa. Shelley. Larry, Erik, and everyone. You were so helpful in walking out to the remote villages to deliver supplies, teach in the schools, and to visit patients. 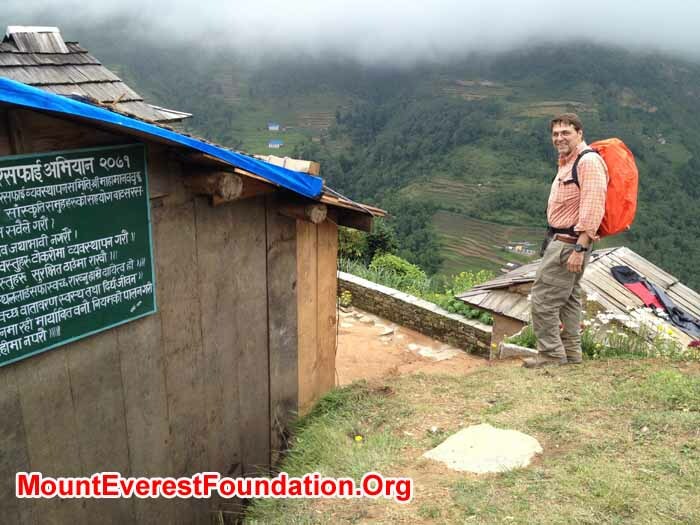 We would like to Welcome Everyone to Our Next www.EarthquakeTrek.org on 17 - 29 November with leader Dan Mazur. 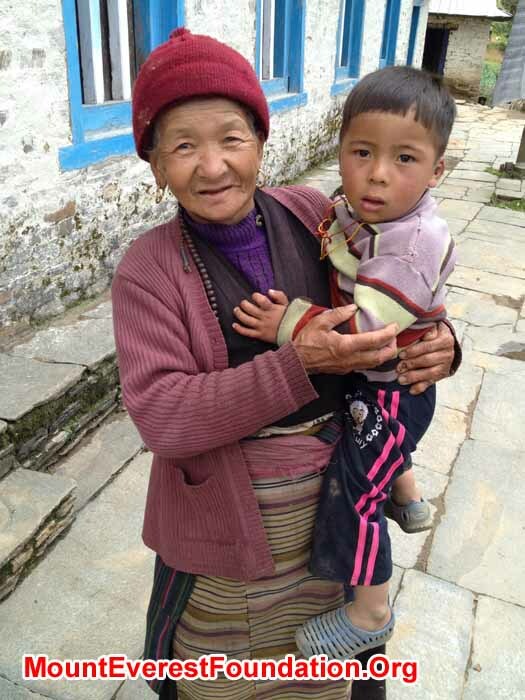 Welcome to men and women of all ages to help the Sherpas in their remote and beautiful Himalayan villages in the foothills of Everest! Grand Ma and Grand Son. 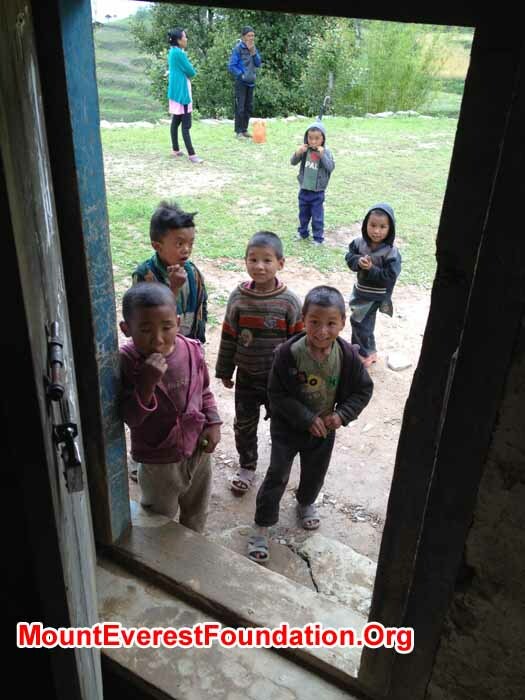 Local villager kid looking inside at the door of Patle Health Center. Photo Erik. Eric teaching how to use Water Filter. Glove donation to village. Photo Shelly. Local boy showing the equipment to carry stone. 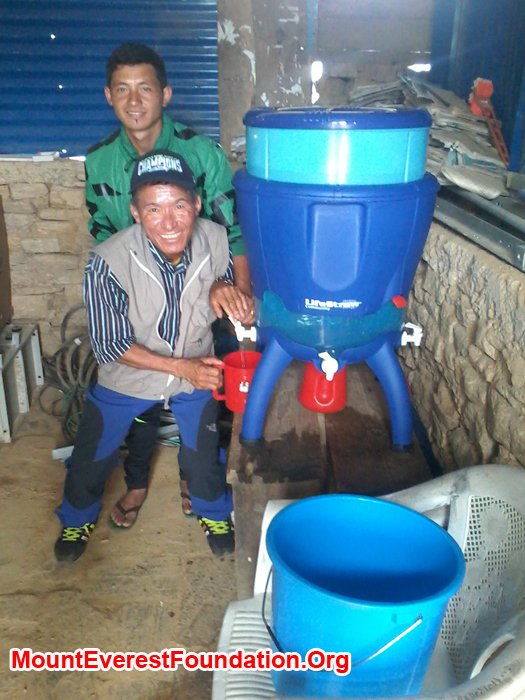 Mingmar and his daughter holding water filter donation. Photo Shelly. Stone are carrying for re-built their house. Eric and Porter with Water filter. Photo Shelly. Damage after earthquake. Sherpa Dancing before departure for village. Photo Shelly. Farming star working in field for rice. Kids ready for school. Photo Shelly. Shelly Brought lots of medicine for h-pylori treatment. Shelly and Eric at Domestic Airport. Photo Shelly. 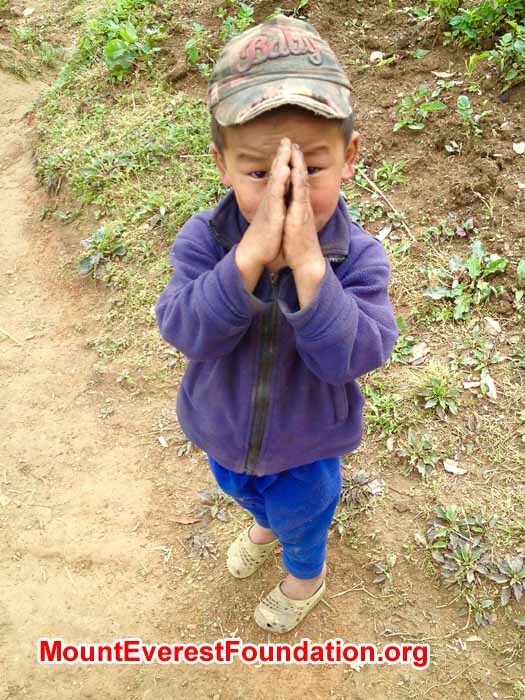 In December, we travelled with a group of educators and health care workers to remote roadless Nepal, where we delivered needed medical and educational services and supplies to low income Sherpa families living near Everest. 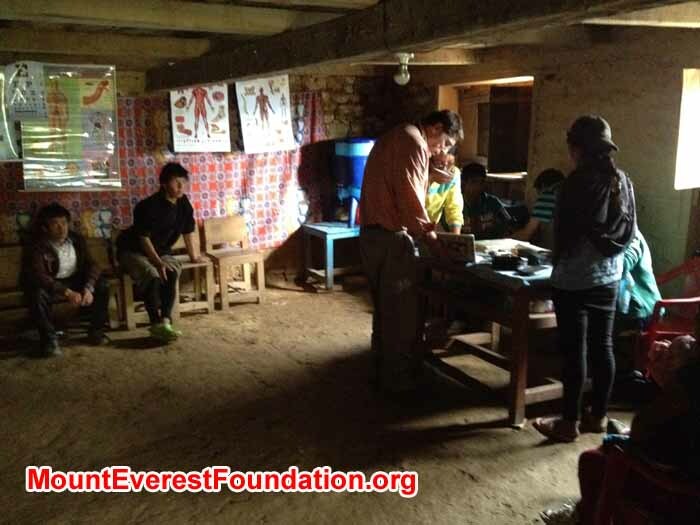 On 1 December, we were in a remote roadless village near Everest and found several injured Sherpa children who needed help, including a badly infected baby, her mother, and a boy who lost his eye in an accident. 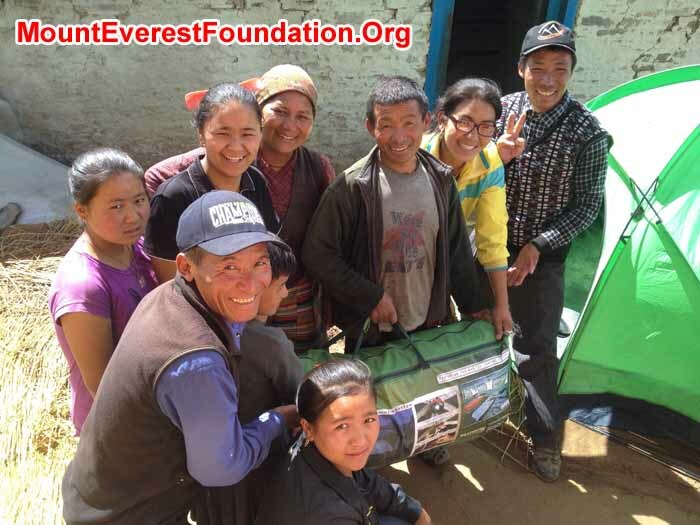 Thanks to concerned donors, we brought these wounded and destitute Sherpas to Kathmandu, the exotic, friendly, and peaceful capital city of Nepal, where they received excellent life saving medical care, and returned to their villages in good shape. 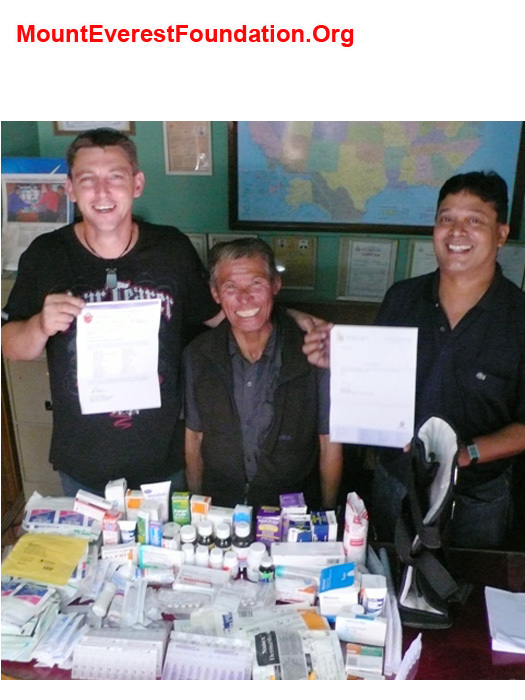 Hamu and Nimke Sherpa after exam, diagnosis and medicine - treatment prescription at Helping Hands Hospital, Purba Sherpa's eye was injured in a scuffle with another child when he was just 14 years old. Now our service trek has brought him to Kathmandu to see if it can be treated. 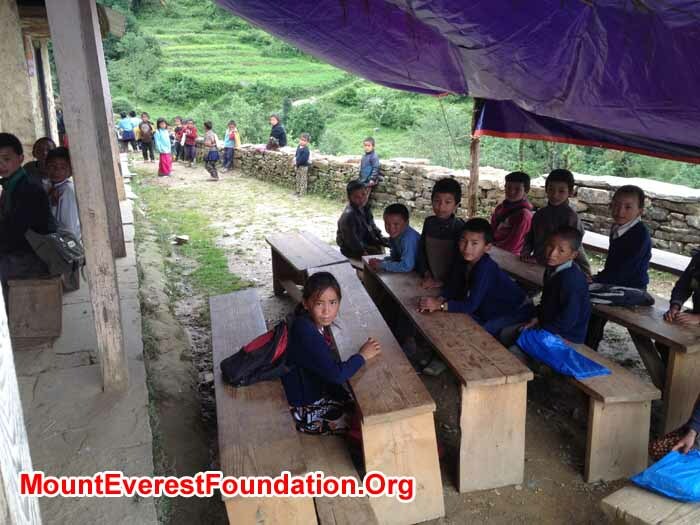 Speaking of which, we are very excited about our January-February 2014 charity fund raising presentation lectures where we will tell inspiring stories and show amazing photos of Everest and raise awereness and support for the new Sherpa Training School. Come out and participate in the presentations. 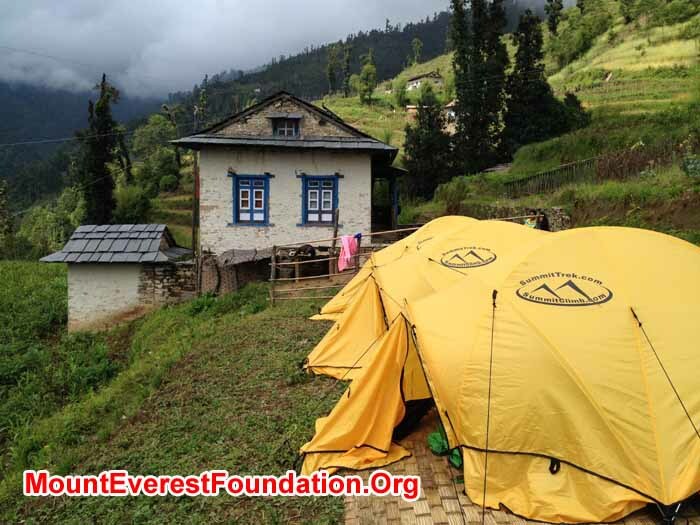 Make new friends and meet the leaders and members of SummitClimb, SummitTrek, and the Mount Everest Foundation for Sustainable Development. 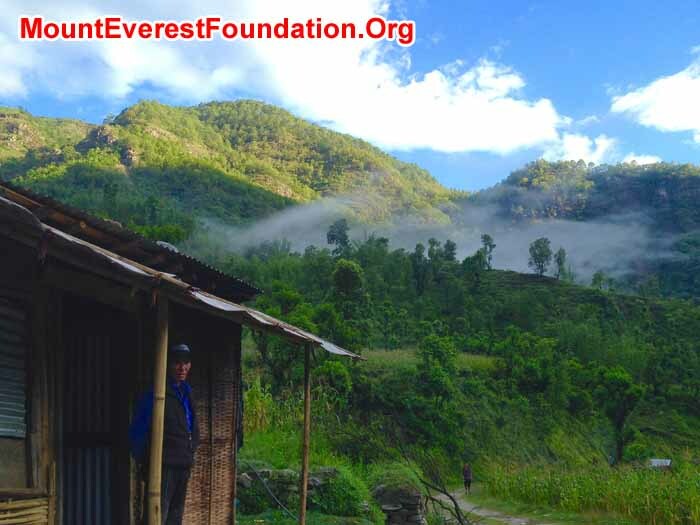 Please inquire about opportunities for hosting a presentation in your own community where all of the proceeds go to help the people of Nepal with educational, environmental, medical, and service projects in rural areas that lack any funding from outside sources. We encourage you to invite us to your town for an exciting talk, and to bring together people in your community who enjoy mountains, for an interesting social event where everyone can meet new friends and rendezvous with old aquaintances. 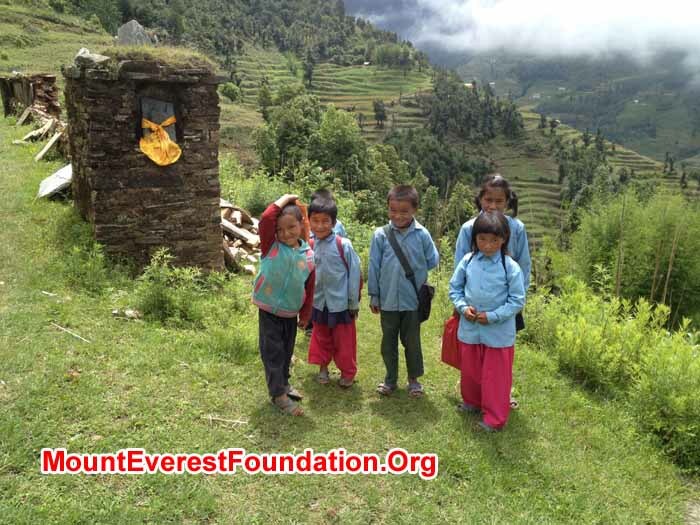 CHARITY/NON-PROFIT NEWS: If you are interested in the charity and service side, please get involved via donating to the Mount Everest Foundation at www.WaysYouCanHelp.org to support and work together with local families living near Everest with hospitals, schools, environmental and cultural preservation. 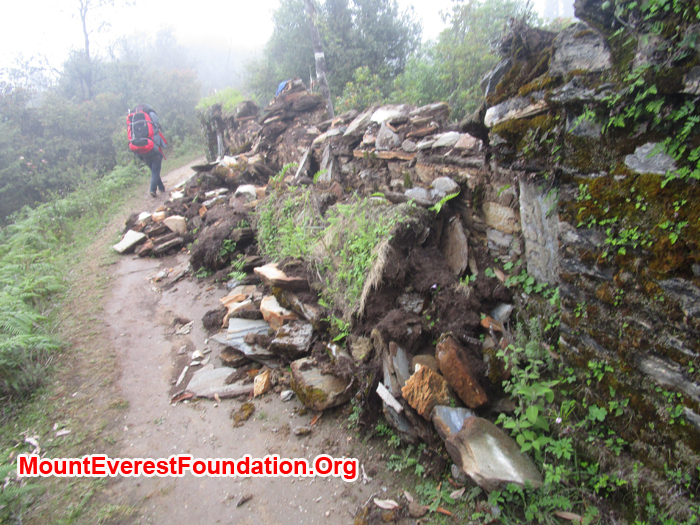 If you feel the need to do more, please get your hands dirty and help dig in with our twice yearly www.EverestServiceWalk.org and www.RemoteNepalServiceWalk.org . Service trek team enjoys dinner at Kathmandu's wonderful Italian restaurant Fire and Ice Pizza. left to right: Shelley Bloom, (nurse practitioner from Usa), Marie Series-Michaud (nurse from France), Wolfgang Nicola (physical therapist from Germany), Anne Kates (educator from Canada), Dan Mazur (educator from Bristol, England, and Seattle, Usa), Daniela Milea (psychologist from Romania), Jeremy Smith (EMT, Australia). Photo by awesome waiter. Blog posts: Please click one of the links below to go directly to that blog post or just scroll down. 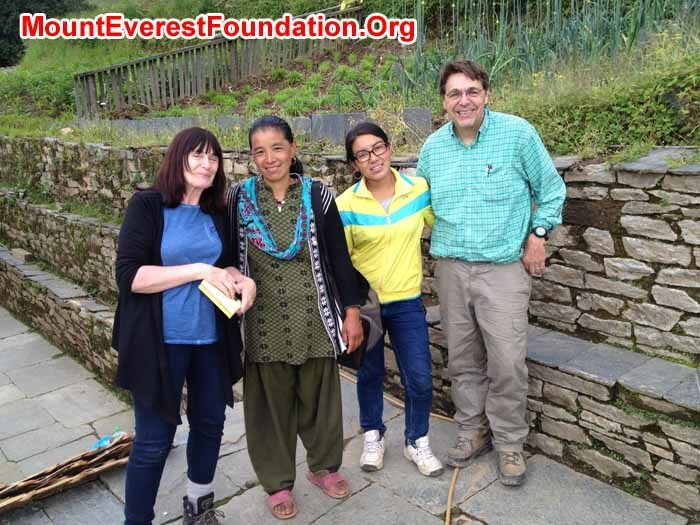 Hamu Sherpa, Nimke Sherpa, Dermatologist Rajendra, and Nurse Practitioner Shelley Bloom at Helping Hands Hospital. 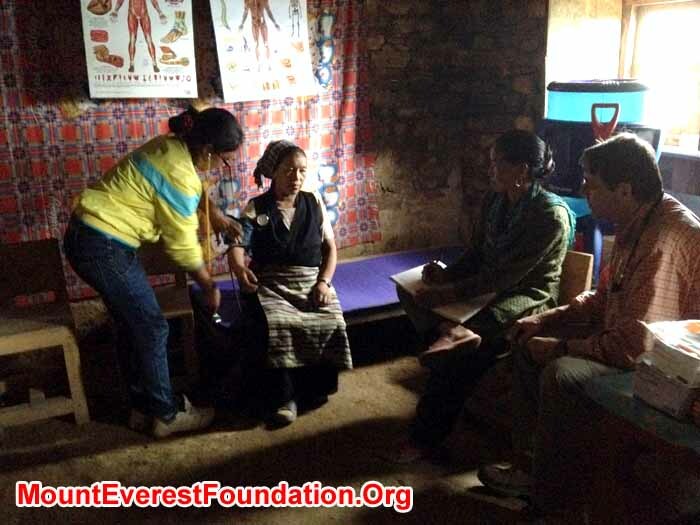 Deha Shrestha from the Mount Everest Foundation with Marie Serys and Yanke Sherpa, filling the prescription for Nimke Sherpa at the chemist's shop. 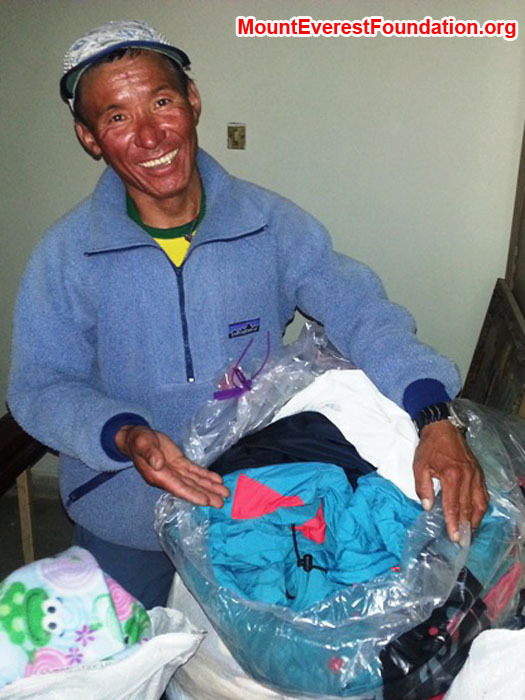 Everyone watches while Gyel Chiri Sherpa hands out a blanket to one of the poorest people in the village, a deaf, mute, and mentally challenged person. Elderly members of the village receiveing generous donatins from Anne Kates, Wolfgang Nicola, Johan Frankelius, Carmen McMillan Nelon, the Juniper Foundation, and Shaker Juniour High. Matthiash Kuc, hiker extraordinaire from Slovenia, came to visit us at the Patale Health Post on his 100 day walk across Nepal. Jeremy Smith, ambulance driver from Perth, Australia, works with a medical Kit from St. John's Ambulance Service. Thanks to David Howard. Jeep ride. Photo by Marie. Himalaya View on the way of service trek. Photo by Marie. Dhorkharka School Students received books and pens from Anne Kates and Wolfgang Nicola. Photo by Dan Mazur. Students from Dhorkharka School practice washing their hands to prevent from germs. Photo by Dan Mazur. Update: DANIELA HELPED KEEP RECORDS IN HEALTH POST. ANNE & WOLF DISTRIBUTED PENS, PENCILS, CRAYONS, PAPER, & POSTERS @ SCHOOL. Update: WE VISITED REGION'S ONLY GREENHOUSE, THEN AN ANCIENT TEMPLE WITH NUNS, THEN STAYED THE NIGHT WITH A LOVELY SHERPA FAMILY. Field. Photo Daniela Milea. Soyabean Flower. Photo Daniela Milea. Good Morning. This is Jeremy Smith calling from the Service Trek and today is the 26th of November. It’s a beautiful day up here in the mountains next to an ancient and stunning monastery. We left Kathmandu on a fun and exciting flight to Phaphlu early in the morning. Upon arrival, we took a short walk down to Saleri and then a fun jeep ride to another small village near Patale.It is a very recent development that they have a working road out here so we decided to take advantage of it and get to Patale as soon as possible. Ready for trek. Photo Daniela Milea. Carrying loads by donkey. Photo by Marie. Resting on the way of trek. Photo by Marie. Happy Thanksgiving to all of our USA friends. Even though it is already Friday, here in Nepal, it is still Thursday over there, and we can imagine someone somewhere is sitting together with family enjoying turkey. Here in Nepal we have never seen a turkey, but there might be some? Does anyone know? Well today all of our service trek members arrived and we enjoyed meeting everyone and spent the day shopping for school supplies. Our team decided that we would like to give all 500 children in the village school system a pen, pencil, notebook, and box of crayons. Also we purchased teaching posters to be used as visual aids in the classroom. Anne Kates was incredibly generous in these purchases. Also, we reviewed the 50 kilos / 110 pounds of medicines that had been delivered and are waiting for us in the offices of SummitClimb and SummitTrek. We are bringing the medicines with us to hand out to local people on the trek. 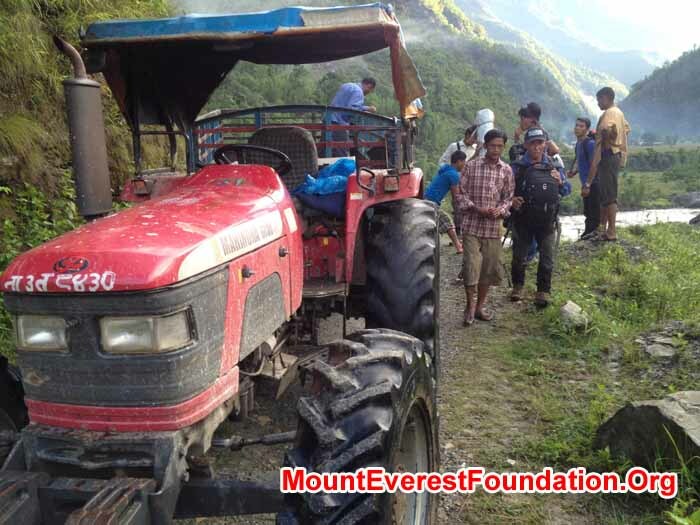 Our staff came to the office and packed up everything to carry out to the village on buses and by porters. all of those porters carrying all of that cargo will meet us in the village on the 26th. 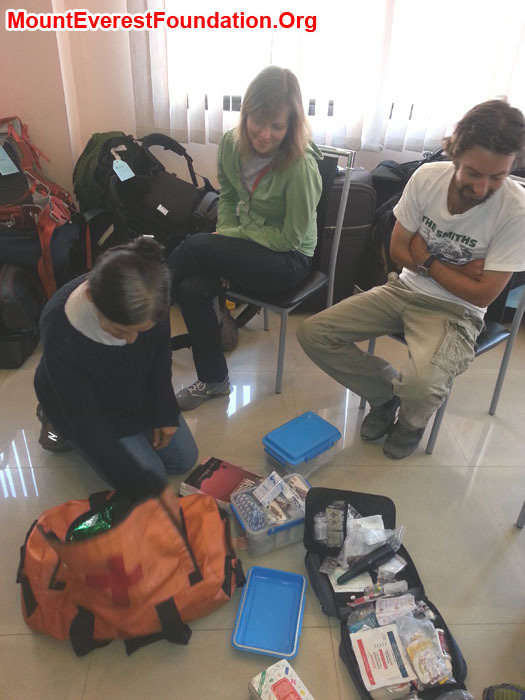 We now have 200 kilos / 440 pounds of donated medical supplies, books, and clothing to distribute on our service trek. Many thanks to Anne Kates, Paul and Laurel Brophy, Shaker Juniour High School, Carmen McMillan Nelon, Johan Frankelius, Stewart and Bonny Wolfe. back to the hotel for an early night. Service Trek Team member. 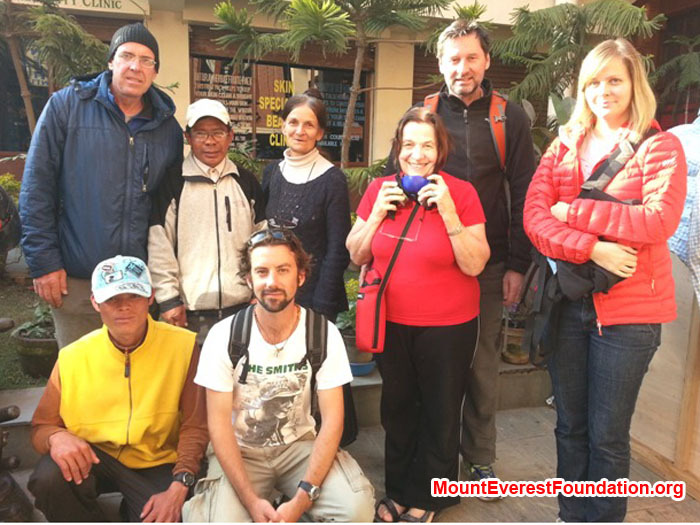 From left Dan Mazur (Leader), USA/UK, Neer Kaji Tamang, Nepal, Marie Sérleys Michaud, France, Anne Kates, Canada, Wolfgang Nicola, Germany, Daniela Milea, Canada, Kamal, Nepal, Jeremy Smith, Australia. 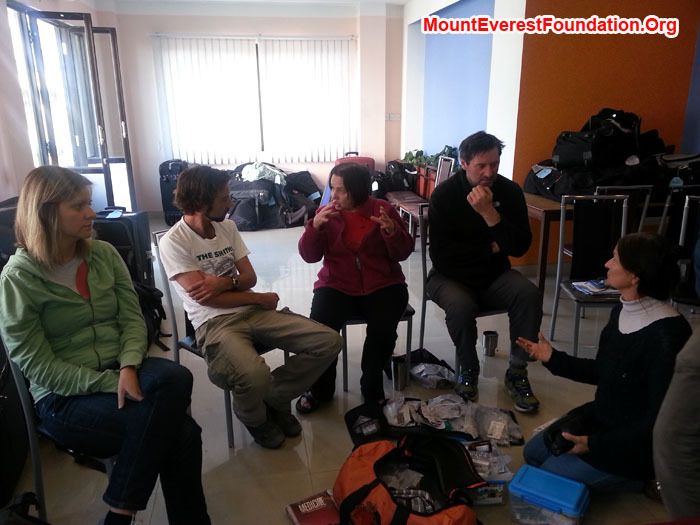 Daniela Milea, Canada, Jeremy Smith, Australia, Anne Kates, Canada, Wolfgang Nicola, Germany, Marie Sérleys Michaud, France discussing about medicines for service trek. Photo by Deha Shrestha. 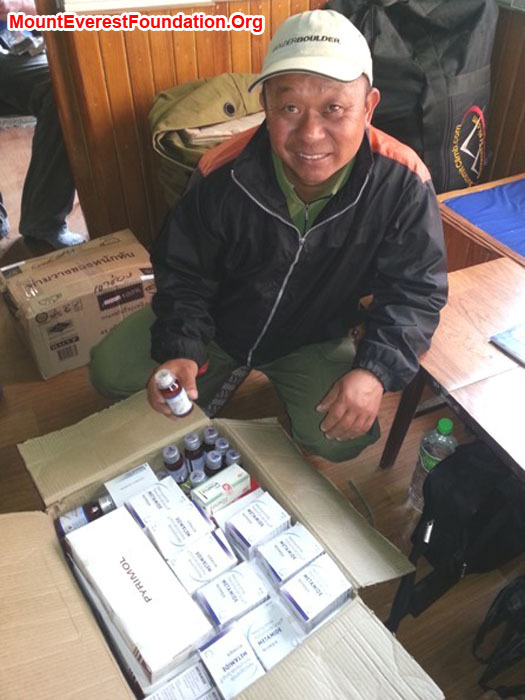 Jangbu Sherpa, Mount Everest Foundation, packing medicines for the service trek kindly donated by Laurel and Paul Brophy and David Quinney of Mater Hospital, Rockhampton, Australia. Photo by Deha Shrestha. 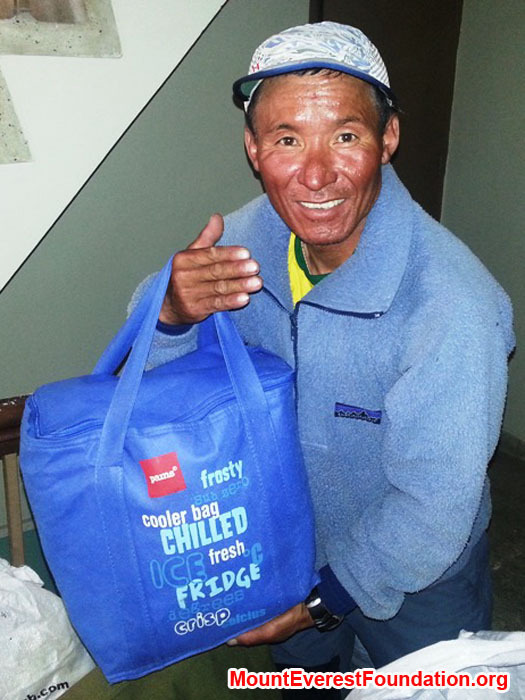 Jangbu Sherpa, Mount Everest Foundation, packing winter jackets for the service trek kindly donated by Johan Frankelius from Uppsala, Sweden. photo by Deha Shrestha. 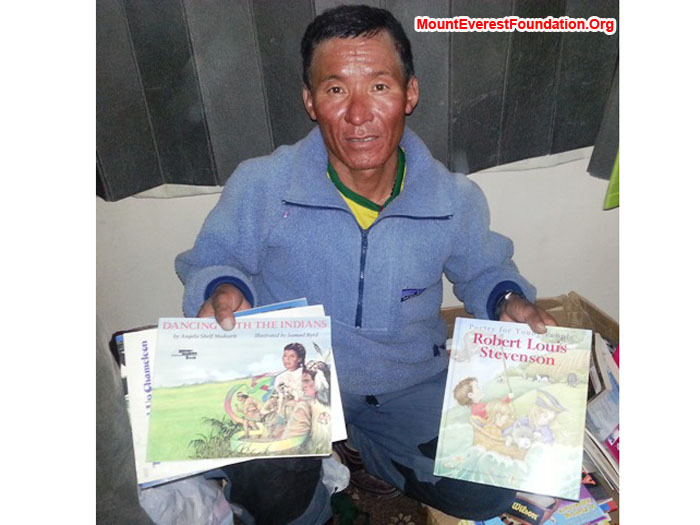 Jangbu Sherpa, Mount Everest Foundation, packing children's books for the service trek kindly donated by Carmen McMillan Nelon from Fort Worth, Texas. photo by Deha Shrestha. Jangbu Sherpa showing off the greenhouse, containing spinach, carrots, and tomatoes. Thanks to Marcia Macdonald and friends.